Adams County vital records, incomplete prior to statewide registration in October 1907, exist from 1857 (births/marriages) and 1876 (deaths). Historical records, available online, are found at the Wisconsin Historical Society, including a statewide microfiche index. Certified/uncertified copies of records since 1907 can be ordered from the Vital Records office of the Wisconsin Department of Health Services (mail, fax, or in person) for $20 including a five-year search, with online ordering available through VitalChek. The Adams County Register of Deeds in Friendship honors written requests for copies; the Clerk of Court will issue copies of divorces. 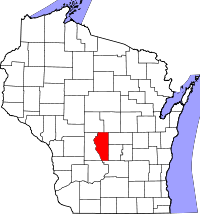 Adams County was formed in 1848 from Portage and Juneau Counties.